Lawmakers in at least seven states are taking the fight against the National Security Agency’s surveillance programs to state capitols. All bills introduced locally to keep the states from cooperating with the federal government were based on the Off Now Coalition’s model bill. The bill would prohibit the state of Tennessee from taking part in any effort to abuse the Fourth Amendment by ensuring that the NSA does not obtain any local material support, which is fundamental to the smooth operation of their facilities. The bill would also ensure that data gathered without a warrant and shared with local law enforcement agencies, cannot be used as evidence in state court. 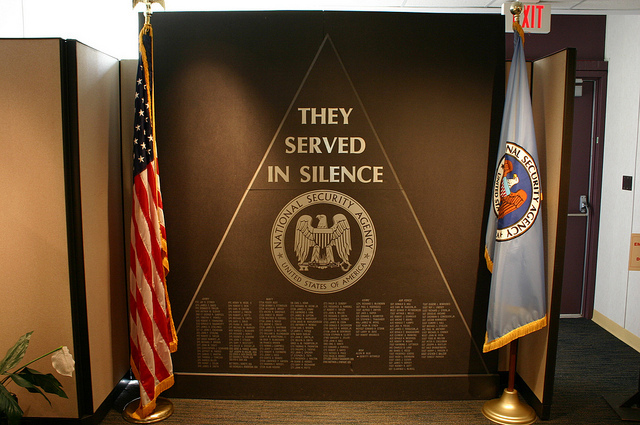 Any local public University in Tennessee would be prohibited from serving as recruiting grounds to the NSA. The agency would also be kept from using universities as research facilities. President Obama is expected to present his proposal addressing reforms to the National Security Agency (NSA) this Friday following a lengthy review of the agency in the wake of former NSA contractor Edward Snowden’s revelations last summer of agency data collection. To lay the groundwork for that position, aides to the president told the Los Angeles Times this weekend that the NSA’s metadata collection scheme could have prevented the Sept. 11 attacks. What’s more, Obama has adopted that “9/11 justification” for the NSA program, the paper reported. That’s a blinking-red signal that the administration is not about to be accused of making the country more vulnerable by tampering with such a preventive weapon. Remember that George W. Bush, a Republican, walked back his warrantless wiretapping program in 2007 after a public outcry. This president, a Democrat, isn’t going to follow suit—especially given the new instability in Iraq and worries about the vacuum left by the coming pullout from Afghanistan. A federal district judge ruled this morning that the National Security Agency’s phone metadata surveillance program is constitutional and dismissed a lawsuit filed by the American Civil Liberties Union (ACLU). In a 53-page opinion, U.S. District Court Judge William Pauley acknowledged that the NSA phone surveillance program “vacuums up information about virtually every telephone call to, from, or within the United States.” But he opined that the program could have prevented the 2001 terrorist attacks. “The bulk telephony metadata collection program represents the Government’s counter-punch: connecting fragmented and fleeting communications to re-construct and eliminate al-Qaeda’s terror network,” he added. Pauley acknowledged that there have been “unintentional violations of guidelines,” but dismissed this at “human error” and “incredibly complex computer programs that support this vital tool.” He also wrote that the program is “subject to executive and congressional oversight” and “monitoring” by the Foreign Intelligence Surveillance Court (FISC). Pauley was appointed to serve on the U.S. District Court for the Southern District of New York in May 1998 by then-President Bill Clinton. He was confirmed by the Senate in October 1998. The court on which Pauley serves is based in New York City. Just two days after a federal judge issued a scathing opinion in which he said the NSA phone metadata program is “likely unconstitutional,” the White House released the report from the five-member panel tasked with reviewing the agency’s data collection methods. The Review Group on Intelligence and Communications Technology recommending 46 changes, some of which are significant, to the how the NSA gathers intelligence. The suggestions in the 303-page report, Liberty and Security in a Changing World, are non-binding. “We recognize that our forty-six recommendations, developed over a relatively short period of time, will require careful assessment by a wide range of relevant officials, with close reference to the likely consequences. Our goal has been to establish broad understandings and principles that can provide helpful orientation during the coming months, years, and decades,” the members added. The National Security Agency’s Internet communications surveillance is so vast that it can reach nearly 75% of all online communications, according to a report from the Wall Street Journal. President Barack Obama has gone to great lengths recently to downplay the NSA’s surveillance apparatus, telling Americans that the government isn’t spying on them and publicly discussing reforms that would protect privacy. But the Wall Street Journal’s report indicates that the snooping programs do in fact retain both email and phone communications between American citizens. “The system has the capacity to reach roughly 75% of all U.S. Internet traffic in the hunt for foreign intelligence, including a wide array of communications by foreigners and Americans. In some cases, it retains the written content of emails sent between citizens within the U.S. and also filters domestic phone calls made with Internet technology, these people say,” noted the Wall Street Journal. Unless you’ve been living under a rock, you know the National Security Agency (NSA) has been using a program called PRISM to collect “metadata,” under a broad interpretation of Section 215 of the PATRIOT Act, to spy on Americans’ phone records and online data, even if they aren’t accused or suspected of a crime.